PW water cooled cables are made from high flexibility copper wire rope, soldered into high conductivity copper terminals. Strands are sheathed in a perforated neoprene tube, minimising mechanical wear. A full specification sheet is available from PW sales on request. PW designs and supplies special water-cooled cables for many industries, including furnace, heat treatment and others. PW Air cooled jumper cables are made from the highest quality flexible copper, with swaged terminals which minimise resistance. 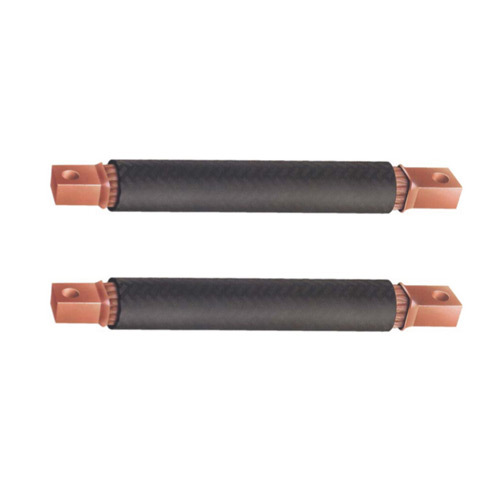 The external rubber sheath protects the copper from abrasion and extends life. A wide variety of sizes and configurations can be supplied. Please contact PW sales if you need assistance with cable selection.